Sunpenny Publishing Group: New Pinterest Board on 'A Little Book of Pleasures' by William Wood - get involved! New Pinterest Board on 'A Little Book of Pleasures' by William Wood - get involved! 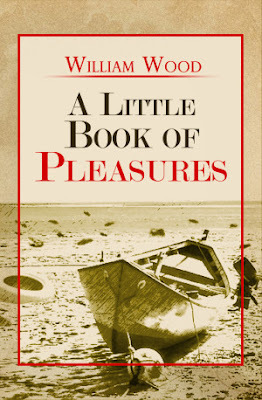 'A Little Book of Pleasures' by William Wood is a delightful anecdotal collection about simple things that make us smile in life! To help provide an insight into the book, we have created a brand new board on our Pinterest account with images that represent the small pleasures featured in it. A delightful anecdotal collection! In these days of 24 hour news many of us may feel smothered under an avalanche of anxiety, despondency or at best choking with rage over national and world events. Grand passions apart, however, there is still much to enjoy. The small pleasures of life lie all around us. They might be found in a state of mind, in the touch of a familiar object such as a favourite wooden spoon, or they may be found in fleeting observations: a baby's smile, the sudden appearance of a stag in your path; or they may be physical pleasures like sucking the wet flesh of a ripe mango or the aroma of coffee spilling out on to the pavement on a cold morning. In a mad and greedy world it is these small pleasures that keep us sane, and dare we admit it, happy. Told with wry humour and a gentle, sometimes quirky style slightly reminiscent of a bygone era, Wood's collection contains a mixture of description and observation with a smattering of autobiographical incident. Life can flash past us so quickly nowadays in an age where more and more time is spent on the Internet and we don't always have a moment to stop and appreciate the wonderful things that help us get by. Which little pleasures do you share with William Wood? We are looking forward to hearing from you. Thank you to everyone who gets involved!